Homs, 19 July, 2016 – At a shelter for displaced families on the outskirts of Homs city in central Syria, a group of 20 women come together to raise awareness among children and families about hygiene and health. Four large concrete apartment towers stand half-built in the village of Zarzouriya – home to 100 families who fled the fighting in rural Homs three years ago. Many homes in the Zarzouriya shelter are headed by women. Many are widows. Children play in groups outside and on the stairs of the blocks. The volunteer women hygiene promoters are members of this new community. With support from the Government of Canada, UNICEF and our partners installed running water into each apartment, as well as toilets and connecting sanitation systems from each apartment to the town sewerage system. New solar panels on the roof mean families have warm water for the cold winter months. With the hardware installed, there was still the critical task of helping children and families know how to keep themselves safe from disease. This is where the volunteer women hygiene promoters came in. Supported by the Government of Canada, UNICEF and our partners trained the women volunteers in hygiene practices and creative, fun teaching methods to help children and parents learn simple practices to stay healthy and prevent illnesses. The women volunteers conduct regular sessions to educate other mothers and their children on personal hygiene, on how to purify water and prevent waterborne diseases and managing water rationing. They follow up these sessions with informal visits to families in their apartments, and do lots of activities with children to make washing hands and brushing teeth fun. Nasra, a 29 year-old hygiene promoter, showing her son Mohammad the right way to wash his hands. Nasra said that life was difficult in the shelter before the water and hygiene project. She registered to be trained as a hygiene promoter so she could help her family and others. “Before we had better water and sanitation facilities, my children were getting sick all the time,” the mother of three said. 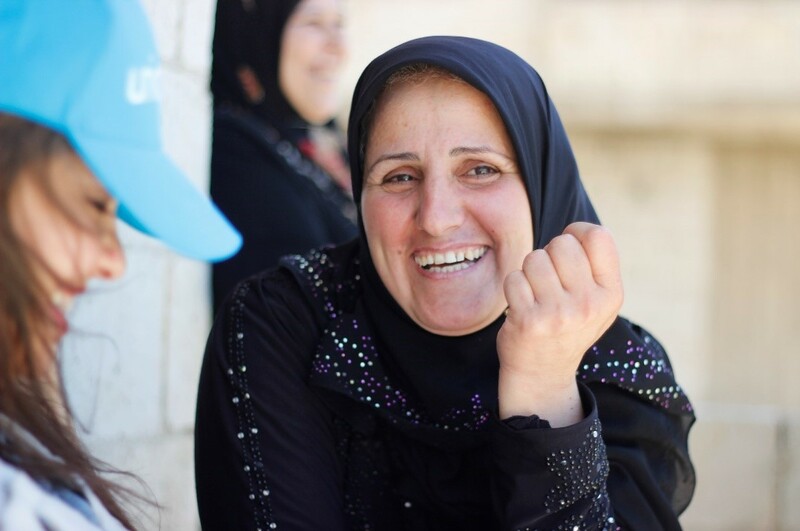 Nasra, along with 20 other women, trained in hygiene promotion and this helped her share information with children and families in her community, and engage with children and parents to help make things like washing hands and brushing teeth fun. “I was very excited to take the hygiene promotion training so that I would be able to teach my children and my neighbours how to take care of their personal hygiene and to stay healthy.” she added. 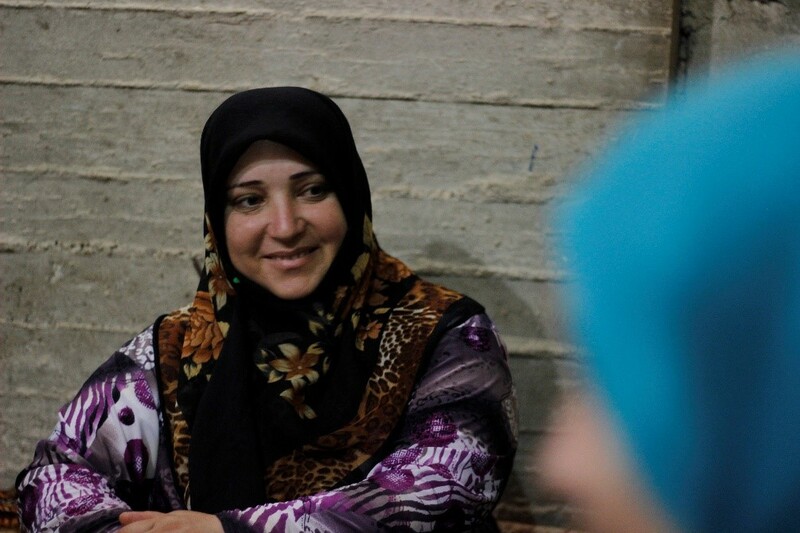 Um Hussein, 34 and a mother of 5, fled from her home to escape fighting 4 years ago. She started teaching hygiene awareness to her 2 sons and 3 daughters. “At first, I thought they would not spare the time to sit and learn about hygiene,” she said. 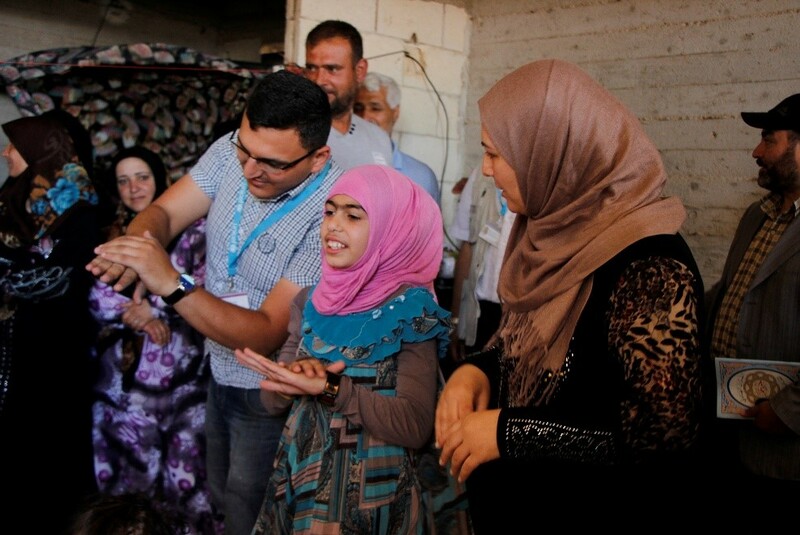 Um Waseem, 38, is a mother of 6 and a volunteer with the hygiene promotion team. She sees the change her work has created. “Everyone at the shelter can already see the difference, not only in the supply of water and the cleanliness of the shelter and the houses, but also in people’s daily hygiene habits. Children are generally healthier,” she said. Um Waseem finds life to be a little easier after the UNICEF-supported project. “We have water at home now. We can cook. Our children can wash their fruit and vegetables before eating them, instead of just wiping them,” said Um Waseem, who used to send one of her children to fetch water from a nearby water point before the installation of the water tanks. Like all families at the shelter, Um Waseem and her children used to carry heavy jerry cans up several flights of stairs to their apartment. 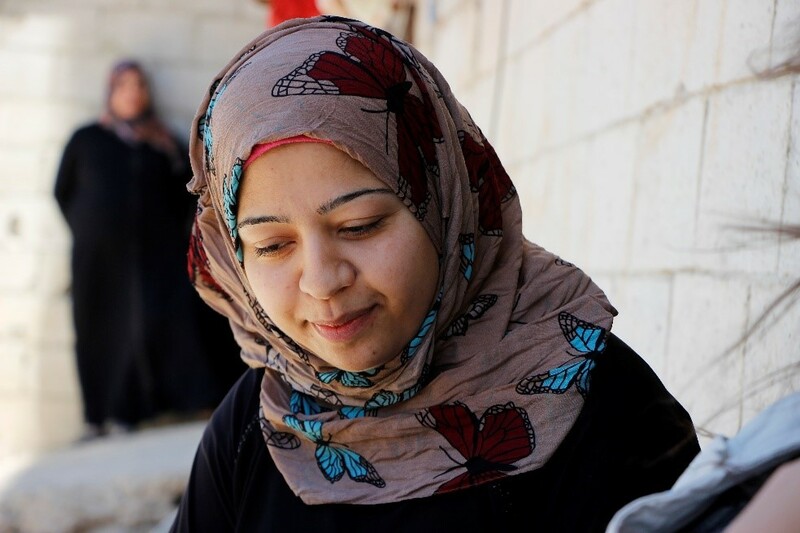 24 year-old Um Ammar is a mother of two and a hygiene promoter at the shelter. Before she was trained, Um Ammar thought that it was only the new water pipes and sanitation systems in her family’s apartment that mattered. “At first, I did not think that there would be real benefit from the hygiene training. I thought that I knew everything,” she said. Hala, 32, is a mother of four and the leader of the hygiene promotion team. Here, she demonstrates with a girl from the shelter the right way to thoroughly wash hands. “My family and our neighbours went through tough circumstances, fleeing our homes and having to live in unfinished buildings where our most basic of our needs were not met,” she Hala. Hala and her team introduce the hygiene and health information to children through songs and plays. Tagged #childrenofSyria, Syria, Syrian crisis, UNICEFthxCanada.